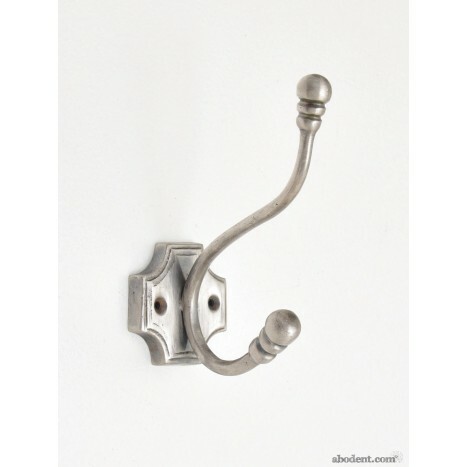 For all those looking for things rubbed and bumped, scuffed and brushed, this silver vein coat hook is the perfect find. With an elegant and characterful design, the silver metal body of the hook is covered with subtle marks and scratches, so no need to scoured the junk shops for your vintage treasures. Tags: vintage silver coat hook, retro silver wall hook, worn silver coat hook, metal wall hooks, ages hooks, weathered coat hooks.